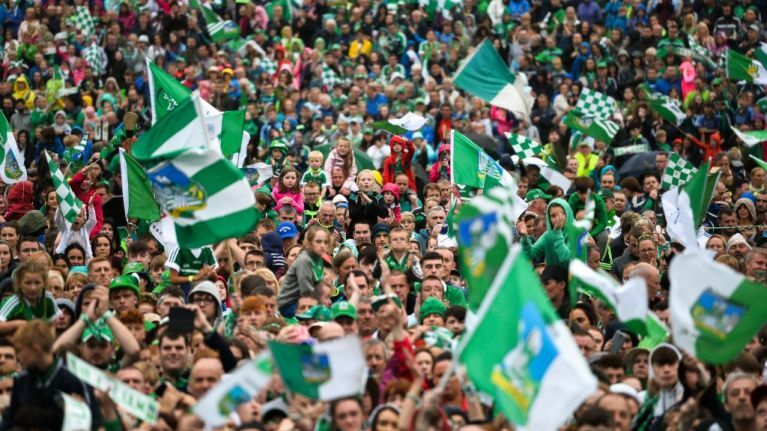 After the 2018 All-Ireland Senior Hurling Final, the citizens of Limerick know that better than just about anybody. The Treaty County ended its 45-year-wait for the Liam MacCarthy Cup with a win over Galway, and the city has been in a state of euphoria ever since. The win has also inspired Limerick man Michael Griffin to propose a solution to the problem of a big, blank wall that's been undecorated for ages. Limerick Council recently sought suggestions for what could be done with it, and Griffin has taken to Twitter to share his suggestion. It's gathering momentum too. "Well @limerickcouncil," Griffin wrote. "Suggestions were recently welcomed for the Speakers Corner Mural in Limerick, I've got a suggestion that I think a lot of people just might agree with." Griffin then shared an illustration of Declan Hannon lifting the cup, beneath the caption "Dreams Come True" — a reference to the Cranberries' hit 'Dreams,' and a tribute to Limerick lady Dolores O'Riordan, who passed away earlier this year. The illustration was created by artist Damien Quinn, whose other work can be found on his Instagram page here. Hard to think of a more appropriate suggestion than that. Are county GAA jerseys eternally stylish?